The Joy of an Unexpected Bargain! We have recently been having some work done on the house (and by recently I mean that as I am sat here writing this post, the joiner is cutting up my kitchen in the background). Now it isn’t exactly a really exciting job that has been getting done, we just needed to replace an old lintel with a steel lintel and rebuild a small supporting wall (thank goodness that we rent!). However, it has spurred us on to have a change around downstairs with how our rooms are used and also to finish decorating. You may have read about this in my post “Do I Need to Move House?“. Well, anyway, since we have changed things around we have been embroiled in a long search for an armchair. I must have looked at every chair available on eBay*, hoping to grab a bargain, but to no avail and I was just getting a headache. Nothing seemed to be right. 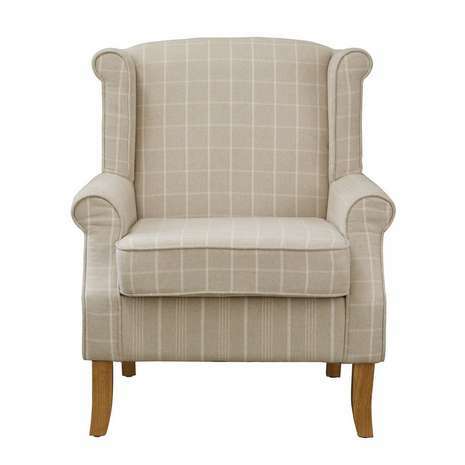 Then my husband had a look on the Dunelm website* and found a chair that he knew I would love called the Natural Check Edinburgh Armchair*. Now, to most people I know that an armchair for £150 would be thought of as being cheap, but when you are naturally a bargain lover it does still feel like a lot of money. So, we did what we usually do and carried on looking for a cheaper chair. I think that there are times when it’s OK to treat yourself. If it’s something that is going to last and you know you will get your money’s worth, then why not? We obviously don’t do this very often, hence the fact that I feel that I need to tell you all about it and explain that we did still try hard to find a bargain! Haha! Anyway, when we went to the store to pick up the chair the member of staff that was serving us apologised that the last chair was actually an ex-display item, and so offered us a 25% discount! We were so chuffed! Our expensive treat wasn’t feeling so naughty any more. 🙂 This did however mean that it didn’t come with a box, but they kindly wrapped it in cellophane to keep it safe for us on the journey home. When we got it home and set it up in its prize position, I was so chuffed. It looked perfect, and knowing that we got quite a good discount on it made it feel that much better too. So, I definitely still think that hunting around for a bargain is worth the effort, and you can usually find exactly what you are looking for. 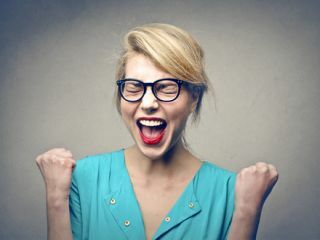 But on those odd occasions when you decide to treat yourself and spend a bit more than usual, it doesn’t mean that your dream purchase can’t turn into a bargain. These kind of surprise savings are sometimes the most enjoyable, for me anyway. Have you ever experienced an unexpected bargain? Would you get up at 4am just to grab a bargain?